Norwalk, CT - As Connecticut looks forward to Election Day on November 6, Fairfield County’s Community Foundation (FCCF) has awarded 18 grants to civic-minded organizations that are determined to energize and educate the community to vote. This new civic engagement grants program, announced last month, is an innovative nonpartisan initiative designed to fund efforts to increase voter registration and information access for all Fairfield County residents, particularly those who are historically disenfranchised. Nearly 30 organizations applied in the brief window of the application process, which concluded at the end of July. FCCF’s Get Out the Vote program planned to fund 10 grants, but based on the outpouring of requests and the remarkable goals of impact from the applicants, FCCF selected 18 organizations that will each receive a $1,000 civic engagement grant. 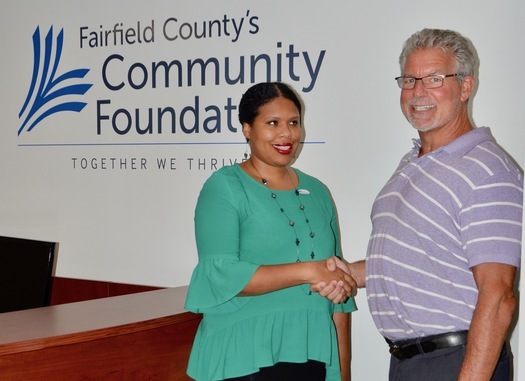 In addition to the grant, grantee participants will receive and benefit from one peer learning activity/brainstorming session in late August; be given the opportunity to shape Fairfield County’s Community Foundation’s first cross-county National Voter Registration Day Event on Tuesday, September 25, 2018, and be recognized as a partner on FCCF’s website and during the Community Foundation’s National Voter Registration Day events. Grantee Make The Road CT’s Director Barbara Lopez remarked “We are excited to work together with other organizations in the Fairfield County Community Foundation network to be able to get out and register voters in Bridgeport, particularly Latinx community members, recent Puerto Rican refugees who are now calling CT their home, and newly naturalized citizens, many of whom are eligible to vote for the first time this election cycle."